Over and Above Africa was created after Founder, Kerry David attended a Los Angeles fundraiser for elephants that outlined the total devastation poaching and human/animal conflict (population growth pushing animals into smaller and smaller areas) was having on Africa's vulnerable wildlife. The presentation was informative and beautiful, it had been filmed from a drone flying high over Africa's unique landscape effectively protecting the animals below - that's how we got our name "Over and Above Africa"
Executive Director, Jennifer Pfister and Kerry had a mutual vision deciding many of these issues could be overcome with a global community's awareness and involvement. Our tagline is #AffordablePhilanthropy because we encourage everyone to donate, however large or small the contribution. It's been said we have approximately 8 years left to act if we want to save them. In our first year we successfully raised over $19,000 in funds and donated to Nambiti Private Game Reserve's Anti-Poaching Unit, our "Boots for Rangers" drive; Petronel Nieuwoudt's "Care For Wild Rhino Orphanage", Damien Mander's IAPF Anti Poaching Unit Team, a PSA with Nambiti about their "Elephant Relocation and Rhino Conservation Programs" and Dr Johann Marais' "Saving the Survivors". This year we hope to raise even more and bring new and impactful organizations and people working to protect the endangered animals in Africa. Of course, without YOU, our members and donors, none of this would be possible! So THANK YOU! Still not a member? Become a member today ($5 a month!) and share this journey with us! Thank you for taking time to care of our planet - it's the only one we have! Kerry has always been a passionate advocate for animals. After learning how many of Africa's iconic animals were facing extinction, not only in her lifetime, but in as little as 9 years, she was compelled to act. She started researching the poaching crisis, wildlife trafficking and the human/animal challenges facing Africa and was horrified at what she uncovered. "I don't want to imagine a world without elephants, rhino, leopards, lions, cheetah and other iconic animals roaming freely. This conflict between man and animal has reached a tipping point, we have to intervene if we have any humanity left in us." She Founded "Over and Above Africa" as a global solution that anyone can afford. "Without our help, these beautiful animals don't stand a chance against the awesome firepower currently reigning down on them. But we can connect as a global community and protect their existence here. We can prevent their suffering and their extinction. Over and Above Africa makes the solution affordable, transparent and enjoyable to a global audience. It's what Over and Above Africa is all about". A multiple award-winning Producer and Director, Kerry has spent the past 25 years working on feature films and documentaries in Hollywood. Two and a half years working at Paramount Pictures lead to three years working for Tom Cruise and Nicole Kidman on projects that include Mission Impossible 2, Without Limits, Portrait of a Lady, Peacemaker, Practical Magic, The Blue Room and Eyes Wide Shut with Stanley Kubrick. She started her own production company in 2000, and in the ensuing years produced multiple projects including, Agent Cody Banks 1 & 2, My Date with Drew, Like Dandelion Dust, Seeking Happily Ever After, Perfect Romance, Deposing the Usual Suspects, Making Miles, The Miles Davis Story and Bill Coors: The Will to Live. She is currently directing and producing, "Breaking Their Silence: Women on the Frontline of the Poaching War" through her production company, KDC Films. In 2001, Kerry Founded Indieproducer.net, an online film & TV community to help new & emerging filmmakers break into the industry. It was named the #1 site for filmmakers worldwide, was in 130 countries with over 82,000 members when she sold it to the Vail Film Festival in 2010. In 2010 Kerry was hired as CEO and CFO to oversee the creation of an orphanage for children in Ghana, West Africa from inception to completion. From hiring the architects, locating the region and children in need and hiring the staff to run it. She was tasked with overseeing every aspect including the budget and build. She fell in love with Africa and found the process enlightening and challenging but above all, extremely inspirational and completed the orphanage in 2013. She said of her experience, "Meeting the children and working with the kind people in Ghana will remain a highlight of my life." Over And Above Africa fulfills a personal drive to help prevent the loss of Africa's innocent, vulnerable and iconic animals. "I am dedicated to being an integral part of the movement that prevents Africa's endangered species from extinction". Kerry spent a good part of 2018 filming Breaking Their Silence: Women on the Frontline of the Poaching War. Here’s an introduction to the film…..
﻿For a more in-depth article on Kerry, click here and for more on Over and Above Africa, click here. Jennifer comes to Over and Above Africa with a lifelong love of animals, elephants in particular, that lead her to seek a better understanding of the poaching crisis. "When I initally learned the grave danger that elephants were in I assured myself that those working in the field to protect animals would not allow this to happen- they could not possibly become extinct. However, as I began to understand the depth of the poaching crisis and what was happening to not only elephants, but rhino, pangolin, cheetahs, it became clear to me that despite their best efforts, these animals were on the path to extinction. That is when I decided to do something. That is when I realized that there was something I could do with my skill set to help stop this tragedy." Coming from a successful career as a Business Development Executive, both domestically and internationally, as well as having worked as Area Director for the Dream Factory, a national non-profit organization that grants dreams to critically and chronically ill children, Jennifer decided to leave her career behind and make her life's work saving animals. "I began by volunteering for anti-poaching organizations such as IAPF, and eventually became Director of Operations for a Los Angeles based non-profit working to raise funds for anti poaching organizations. This experience solidified my dedication and commitment to this cause and inspired me to join Kerry in her amazing vision for Over & Above Africa." Jennifer comes to Over and Above Africa with a passion for educating the global community about the plight of Africa's endangered animals and to identify and support new and important organizations in Africa that are effectively tackling the poaching and human/animal conflict raging on that continent that need our support. "I believe that there are many people who are simply not aware of what is happening, and if they become aware they will want to join us and do something about this. Do we want to be the generation that wipes out entire species from our planet? Do we want to allow terrorism to be funded through the slaughter of these beautiful and sensitive creatures? We cannot let this happen." Shannon’s lifelong commitment to philanthropy coupled with her love of all animals led her to utilize her 21+ years in commercial and film production to produce a short film for Over and Above Africa at the beginning of 2018. Upon meeting Kerry David, its Founder, it was clear that she was meant to work with this beautiful soul to try and help preserve our most vulnerable wildlife. As Executive Director of Community Outreach Shannon will continue to use her passion, optimism and dogged work ethic to help fight this ongoing epidemic. Shannon Worley's 21+ years in commercial & film production have given her the opportunity to work alongside some of our generation's most exciting and creatively accomplished directors, including Peter Berg, Antoine Fuqua, John Hillcoat, Errol Morris, Christopher Guest and many others. But while working with the big names has always been a professional thrill, it has been Shannon's work with young up and comers that has inspired her the most. Shannon prides herself on mentoring young people across all disciplines in the film industry. She has become something of an expert at grooming talent, most notably in her partnership with Neill Blomkamp, director of the Academy award nominated feature film District 9. Shannon began working with Neill when he was just a 24 year-old VFX artist trying to break in to directing. Shannon and Neill produced three short films together, including Alive in Joburg which went on to become Neill's first feature, the critically acclaimed District 9. Along the way Shannon has also managed to produce three wonderful and shockingly grounded, mature young adult children, so she knows something about seeing a project through to its completion. Philip Folsom is so proud to have joined the Over and Above Africa team as staff photographer and Explorer in Residence! Philip is a cultural anthropologist and instructor at USC as well as LACC and sits on the high performance board at Redbull North America. He is a veteran of the United States Army and is the cofounder of the Sparta Project, an international suicide prevention program for warriors. In addition, he is the owner of Human Kind and Philip Folsom Programs which is focused on creating healthy and sustainable high performance for organizations worldwide. Philip has traveled the world on such varied adventures as studying sword fighting in Japan, diving in cenotes in Central America, working with the special forces in Australia and conducting archaeology in Bonaire. He recently returned from a trip in Africa where he helped the International Aids Healthcare Foundation form an international network of healthcare services across the continent. When he is home with his wife and daughter in Venice CA he works with corporate work teams from Space X, Redbull, Sony and others to help them upgrade their organizational culture so the humans involved can be healthier, happier and higher performing. 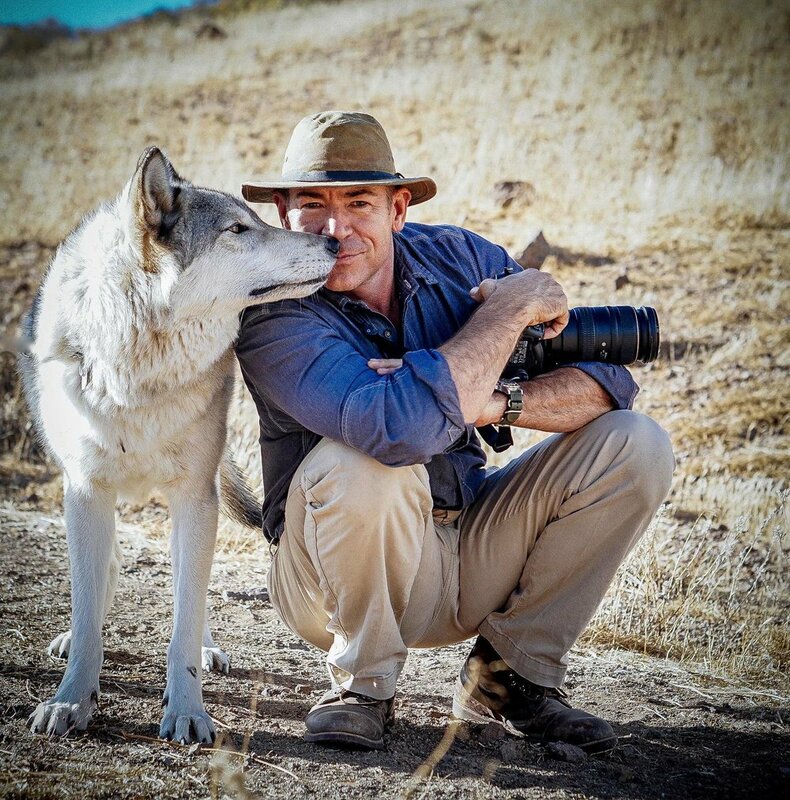 Philip is an avid wildlife photographer his images have won awards and been used in numerous publications and websites around the world. For more information contact Philip directly at philip@philipfolsom.com.